The most common red-coloured butterflies and photos of the most popular red butterfly in the world. 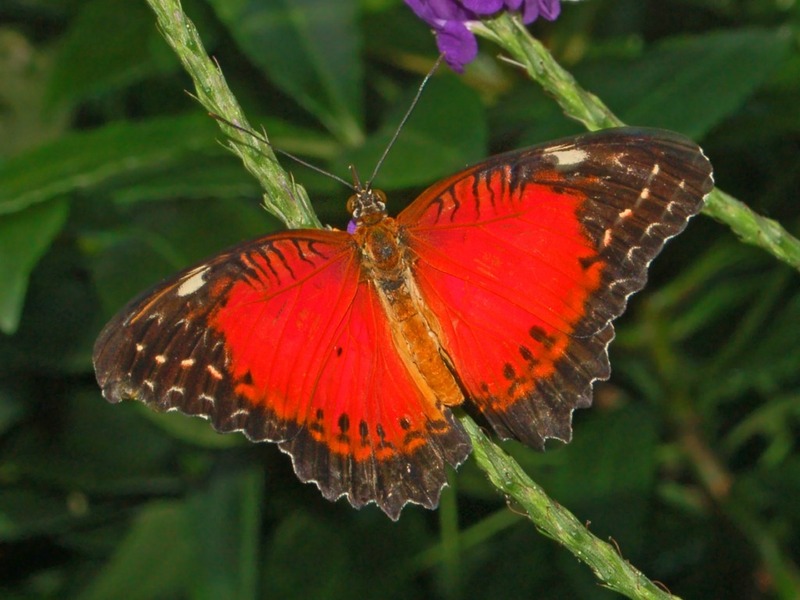 The red lacewing, is a species of heliconiine butterfly belonging to the family Nymphalidae. This species can be found from the Indian subcontinent eastwards to South-East Asia and East Asia, the eastern limit being the Philippines, and the southern limit being Indonesia. 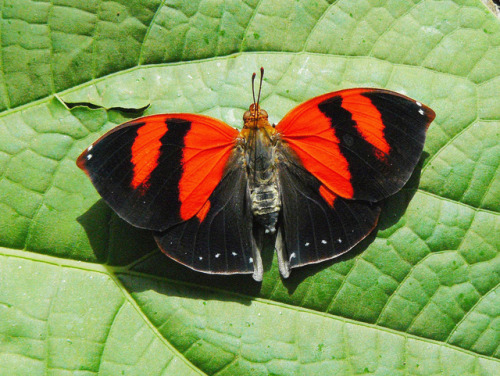 The Red-striped leafing, also known as the Scarlet Leafwing, is a species of butterfly of the family Nymphalidae. It is found from Mexico to southern Brazil. 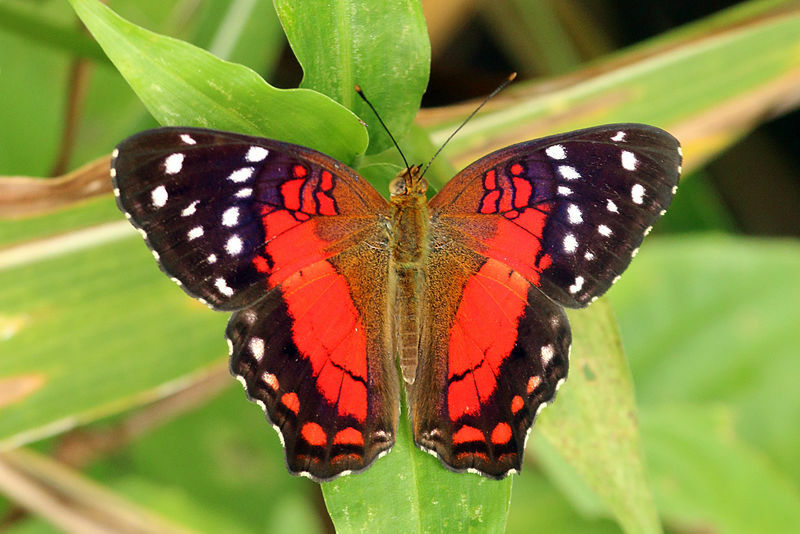 The Scarlet peacock, also known as the brown peacock, is a species of nymphalid butterfly, found primarily in South America. 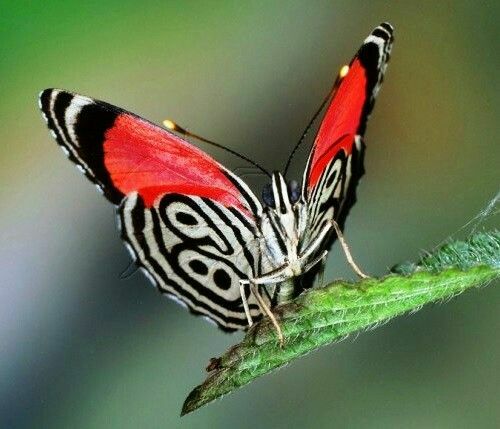 This butterfly is very similar to the banded peacock or Anartia fatima, which primarily exists north of the range of Anartia amathea. The Doris longwing or Doris, is a butterfly of the Nymphalidae family and only member (i.e., monotypic) of the Laparus genus. It is found from Central America to the Amazon.There is considerable colour and pattern variation, even at sub-species level. 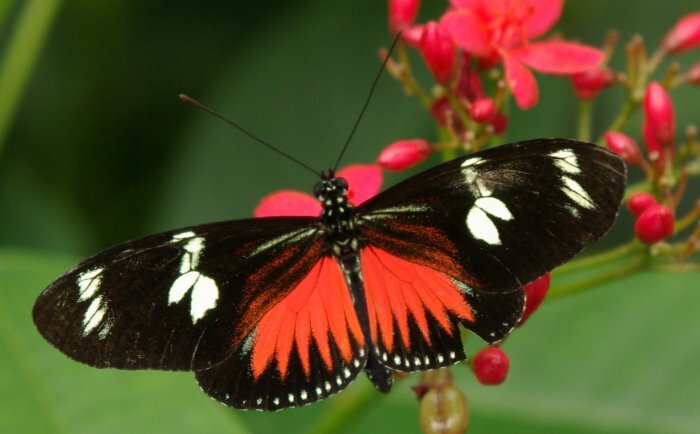 The Anna's eighty-eight, is a butterfly in wet tropical forests in Middle America. The underside of the forewings are red, which is followed by a wide, black band and then white tips; the underside of the hindwings is white, with lines that approximate a black-outlined "88", giving the species its common name.